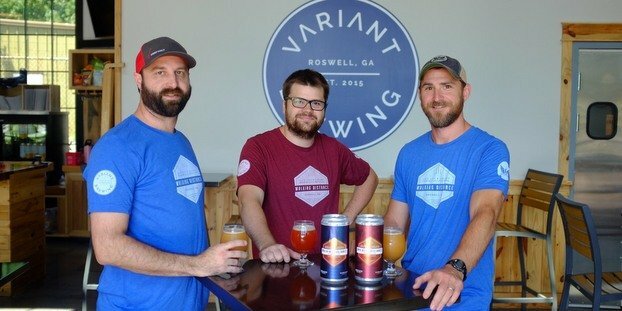 If you took every press release for each craft beer released in a given week, and laid them end to end, it is said they would wrap around the earth three times. We attempted to do this last week, and it was proven false, but only because we hit the edge. Looks like Kyrie Irving was right all along. Anyway, with the experiment a bust, we leafed through the pile again and pulled out five that stood out the most. Here’s your five craft beers to know this week. Peanut Butter Jelly Time (5.7 percent) returns to the menu at Catawba Brewing on March 2. A light brown ale with a touch of wheat in its malt bill provides the bready base for the star ingredients — real raspberry puree and whole roasted North Carolina peanuts. The brewery’s most popular Specialty Series beer, PB&J will be available on draft and in four-pack 16-oz cans. 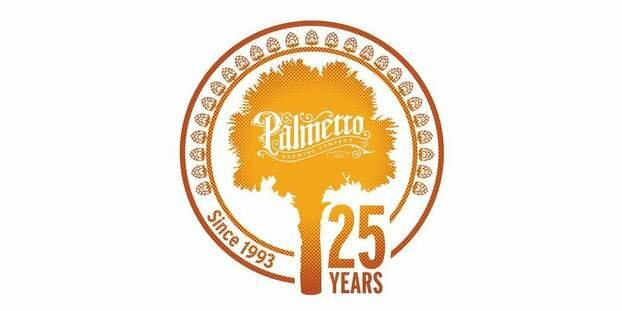 Find it at all four Catawba tasting rooms, the Palmetto Brewing tasting room in Charleston, and in five-state distribution. For the first time ever, the Peanut Butter Jelly Time release party will introduce four specialty variations of the beer. PB&J flavors will include Concord Grape, Blackberry, Strawberry-Rhubarb and a mystery version. These Small Batch beers were brewed in Catawba’s Asheville and Charlotte brewhouses and will be available in their tasting rooms and in very limited distribution. A special PB&J flight will be offered exclusively in Catawba tasting rooms while supplies last. Yes, you are about to read this correctly: An ancient Peruvian beer brewed with corn that’s chewed up and spit out, Chicha is one of the most talked about brewing creations from Dogfish Head Craft Brewery. First brewed in 2009, this new batch of Chicha was brewed with corn chewing contributions from over 100+ Dogfish Head coworkers who banded together to prepare the beer’s main ingredient for brew day — chewed purple maize (corn). To welcome the return of this historical beer and to celebrate the off-centered collaboration that brought it to life, Dogfish is releasing 200 750-ml bottles in the Tasting Room at the Milton brewery, as well as on tap, on March 10 at 11 a.m. So what exactly is Chicha? In Peru, small communities produce it from masticated maize, naturally fermented in large clay pots and often flavored with indigenous fruit and spices. Dogfish Head reproduced the ancient beer by creating Chicha from coworker-masticated purple Peruvian corn, malted corn and malted barley. The wort is then boiled for full sterilization, chilled and blended with strawberries. Fermented with a unique blend of yeast strains, Chicha clocks in at 3.1 percent ABV with fruity, spicy aromas and a dry finish. Perrin Brewing is set to release the award-winning No Rules Vietnamese Imperial Porter at the Perrin Pub in Comstock Park, kicking off the release with the No Rules Day Celebration event. This year, Perrin Brewing is offering No Rules as a brewery-only release in order to show appreciation for the loyal community of fans seeking the much-anticipated brew. A brewery-only release will allow fans to get their hands on it straight from the source; plus, coinciding with the release, lovers of No Rules are invited for an afternoon of festivities at the No Rules Day Celebration. The party starts at noon on April 14, when the bottles will become available to the public. Fans can simply grab bottles to go or, if they’re not into the whole brevity thing, hang out at the Perrin Pub for an outdoor celebration with live music, specialty beer on tap, games and food until 4 p.m.
No Rules will be released in 22-oz “Silver Bowling Ball” bottles and on draft both inside the pub and at the outdoor celebration. The price per bottle is $16.99 for No Rules 2018. Bottles will be sold on a first-come-first-serve basis with no limits on how many bottles a given individual can purchase. No Rules, a 15 percent Vietnamese Imperial Porter, is brewed with coconut, cinnamon and turbinado sugar, then laid down and aged in bourbon barrels. Perrin Brewing will also be offering a very limited quantity of cellar reserve No Rules bottles from 2017 and 2016, and both scotch and rum barrel-aged variants for purchase while supplies last. No Rules 2017 bottles are priced at $18.99, No Rules 2016 bottles at $20.99 and No Rules Scotch and Rum variants at $20.99. Nearly 18 years after the release of the original Firestone Lager, Firestone Walker Brewing Co. is bringing it back — new and improved — for those who finally want a better lager. Firestone Lager begins rolling out to all Firestone Walker markets this week in both draft and six-pack can (12-oz) formats. The Mitten Brewing Co. has built itself around bringing the worlds of craft beer and baseball together. Something the two worlds share is the idea of pitching. In baseball, pitching refers to throwing the ball towards home plate to start a play. In brewing, it refers to throwing yeast into wort to start fermentation. The “Art of Pitching” series is an opportunity for the brewers at Mitten Brewing to test out new ingredients and techniques. Those who enjoyed the event last year can look forward to more experimental styles this year. Five of the recipes are completely new, and one is a spin on one of last year’s brews. Six different brewers and teams at Mitten Brewing have developed recipes that will be released periodically at the pub through March 19. The styles include an India Pale Lager, Blackberry Black Gose, Rye Stout with oak spirals, Imperial Roggenbier, Bohemian Pilsner and the brewery’s first New England IPA.